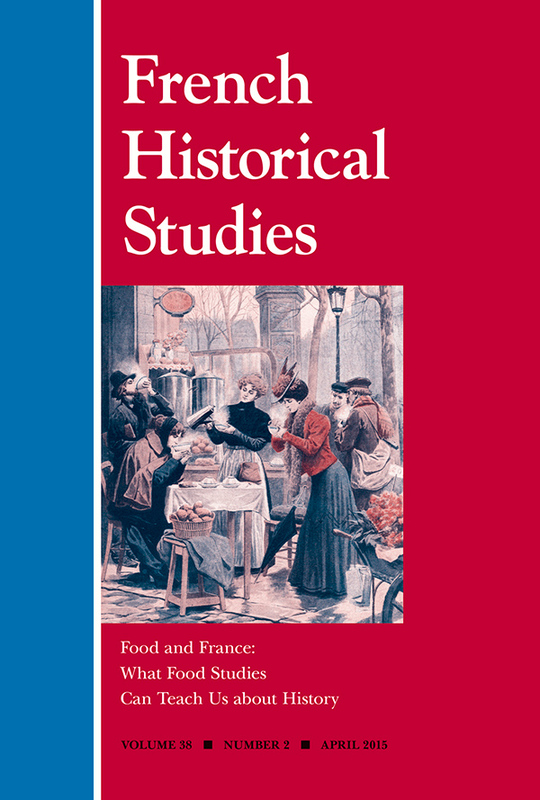 This special issue offers a broad range of social and cultural insights into the history of French gastronomy. At a moment when French cuisine no longer dominates the world of fine dining, the history of French food has drawn increasing attention in the academic world. The contributors address topics spanning the seventeenth to the twentieth centuries, such as coffee's relationship to slavery and exoticism; the promotion of terroir to an aspiring middle class; the contrast between the romanticized images of Parisian shop girls and their efforts to survive on street food in the early twentieth century; the "standard meal" imagined by nineteenth-century nutritionists and the divergent reality of meager lunches for the working class; and the inequitable experience of wartime deprivation. The articles in this issue both model how the study of the culture of food can ground our understanding of France's place in the world and illuminate questions of nationalism, global networks, gender, race, ethnicity, and class. Erica J. Peters is the Director of Culinary Historians of Northern California and author of San Francisco: A Food Biography. Bertram M. Gordon is professor of history at Mills College and the author of Collaborationism in France during the Second World War. View the table of contents for FHS 38:2, "Food and France," at the journal's online site.